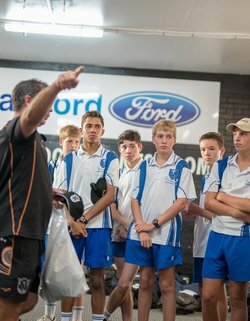 During the tour, many Swans players stopped to have a chat with the boys about life at the footy club and different aspects of what it takes to be a WAFL player. 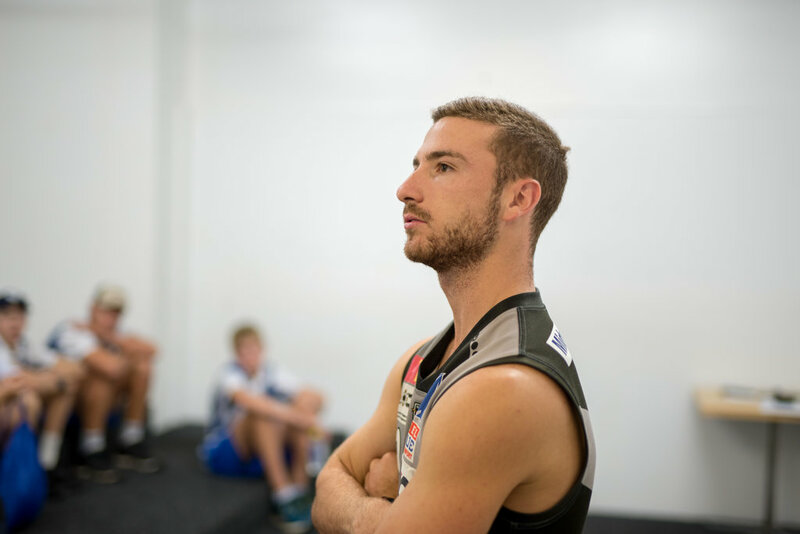 League ruckman Nathan Blakely discussed the process of going through game day vision and how he studies the vision of opposition players who he’ll play against to be as prepared as possible for each match. Jacob Coniglio described what went on in the pre-game and half time breaks in the players lecture room. A few of the club’s Futures Under 16’s players talked about one of the club’s values of giving everything your best and staying active. League coach Adam Pickering had a chat to the boys about the WAFL season ahead. As the students walked through the different rooms at Steel Blue Oval, many of the club’s volunteers talked to them about the family feel that Swan Districts Football Club fostered as well as their roles during the week and on gameday. Many other players had a quick chat to the boys and were very encouraging of them in their school and sporting endeavours. “Corey Gault and the other players giving us some tips and talking with us about footy was great. I liked it when (Shane Beros) took us through the tour and gave us the scoop on the club” said Lucas. Zac said “All of the club were so professional and it inspired me to work hard to get playing in the WAFL”. Through the tour the students were able to see the club’s tradition and rich history and the general workings of the behind the scenes activities that eventuate in the players performing on game day. Tim said “We learnt all about the history and heritage of the club. They took us to see the oldest original tree and where the first fence was and the heritage listed seat”. The Mazenod students were delighted with the visit. “Seeing inside the coaches box was the best bit. They’ve easily got the best view of the whole field” commented Angus. “Ringing the siren was a highlight. I rung it and checked which players looked up and actually weren’t listening when the coach was talking to them” said Noah and Lachlan said “It was great seeing one little footy club create such a big community”. 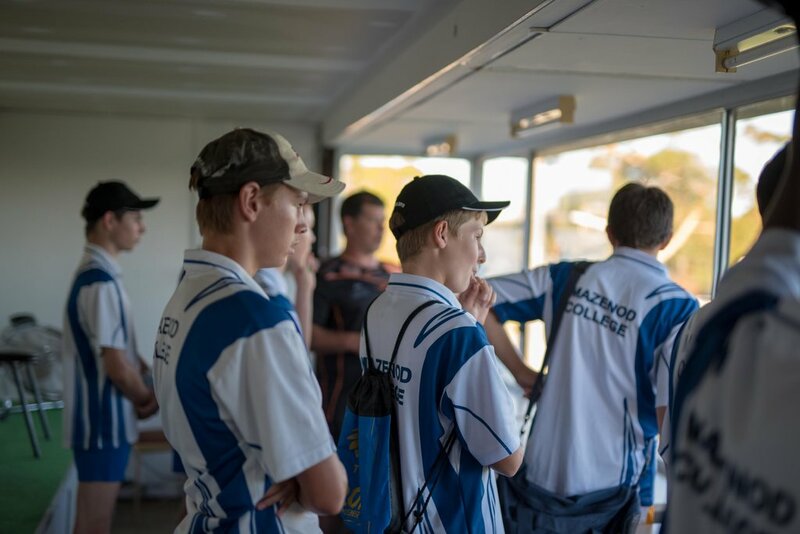 This connection with Mazenod College is an integral part of the club’s community outreach strategy. The club’s purpose is to build community and develop people. Its vision is to be a well-connected and community-engaged football club which improves social outcomes and the sense of wellbeing within the wider Swans community. Earlier in the month, the club’s Talent Manager Greg Harding provided an early morning coaching session with the school’s first 18 team at Mazenod College.